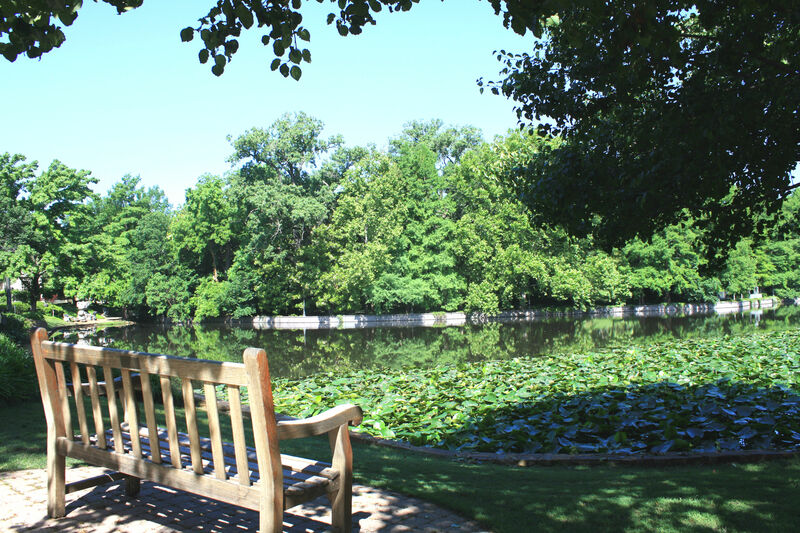 Lakeside Park sits on over 14 acres of exceptionally landscaped grounds along Turtle Creek, located between Beverly Drive and Armstrong Parkway at 4601 Lakeside Drive. The walking paths and numerous benches along the way are the perfect place for a leisurely stroll. Enjoy the scenic views from the bridge atop the Turtle Creek Dam, the whimsy of the Teddy Bear statues, and the tranquility of the Read Memorial.